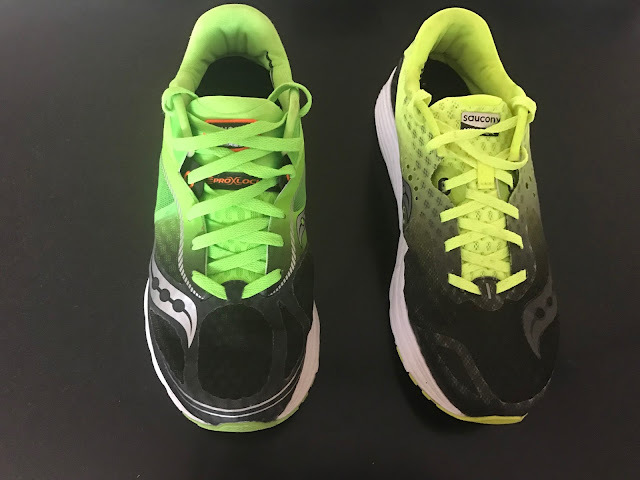 Sam's pair of Kinvara 8, size 9 men's weighs 7.8 oz/221 g, exactly the same as the listed weight of the Kinvara 7 and 0.3 oz more than the weight listed at Running Warehouse here. Stack is 23mm heel/19 mm toe, 4mm drop so about the same as its predecessor. Retail is $110. Peter: The Saucony Kinvara series, as many reading this know, has been an incredibly important shoe in helping usher “minimalism” into the mainstream of running shoes. When they were first introduced a few years ago (or 7 versions ago) they were a revelation. They were the first shoe, for me anyway, that had a seemingly unbelievable weight to cushioning ratio. They were light, more minimal than standard trainers and had a great deal of cushion. 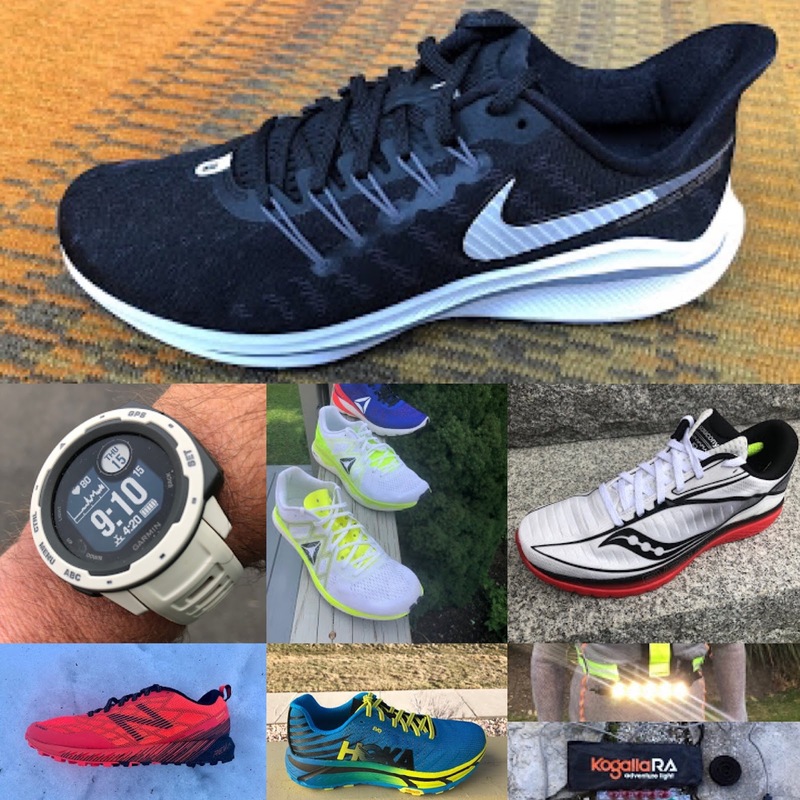 Since then we have seen lots of different shoes come into the same space: NB Zante, Hoka Clifton, Nike LunarTempo, Skechers GORun to name a few. So how does the Kinvara 8 do in the wake of this legacy? Well, read on to see. 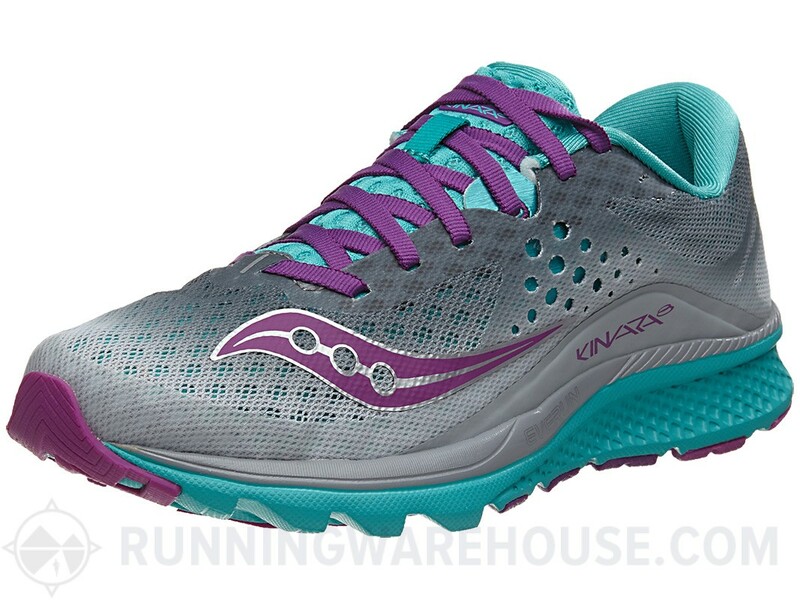 To cut to the chase though, the Saucony Freedom seems much more like what the natural evolution of the Kinvara should have been than the Kinvara 8 does. Sam: The Kinvara now in its 8th edition was the original low drop, light shoe from a major run company. Early versions were quite unstructured soft and agile. With the Kinvara 7, the K shoe got a snug almost race fit, firmer midsole, and stiffer yet responsive ride. The Kinvara 8 attempts to dial back to earlier Kinvara with more upper comfort and a softer ride. Does it succeed? Read on. 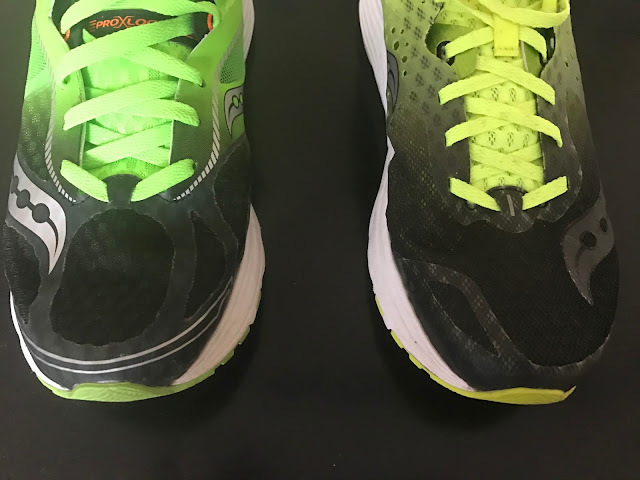 Sam: The result of the changes is a more comfortable fit, more agile forefoot, and a heel area which is softer and less responsive, has less rebound, so a shoe for me that rides more like the earlier Kinvara but with a more supportive upper. 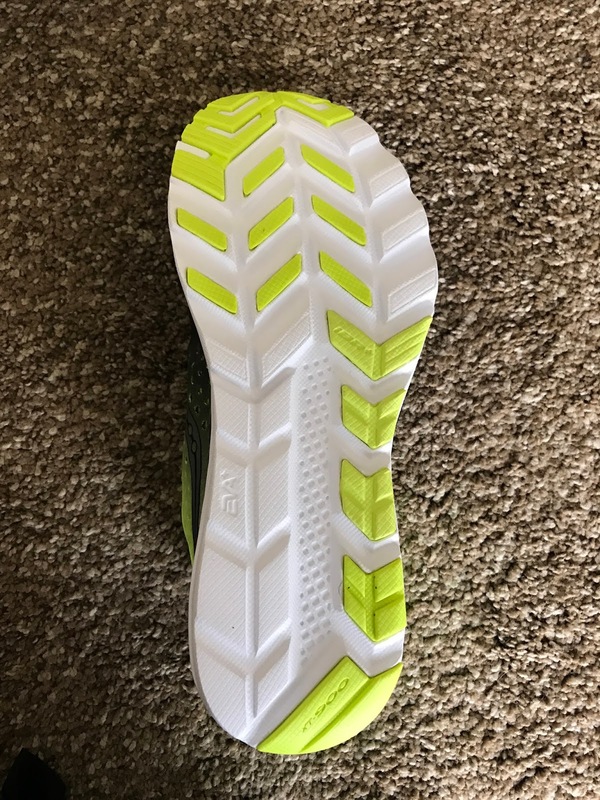 While initially I thought the upgrade was good (see initial impressions review here), after more miles at various speeds I am concluding the mid sole foam is to soft for my preferences particularly in the heel where it seems to bottom out and then meet the firm outsole. This leads to less rebound and a more delayed rebound forward than I would like as a heel striker. This sensation could also be influenced by the vertical side walls of the medial side which might tend to keep my foot from pronating enough in the soft heel to rotate fast enough to what is actually a good final toe off much improved over the Kinvara 7 in its agility. Peter: The Kinvara 8 fits true to size. Like versions before it can be a bit narrow and cause some rubbing on the outside of the foot. If you have a wide foot I’d size up. The upper is improved from version 7. They’ve abandoned the super awkward Pro-lock bridge on the tongue which is a nice change. The laces now have a couple of tabs about midway up that serve to help pull the midfoot snug around the foot. Overall it’s a much better lacing system than in the K7. The mesh seems to be more breathable and it’s an overall comfortable upper. The heel collar is nicely padded without going overboard. There are some light overlays and some wider holes in the mesh to help with breathability. Sam: I was sized up a size which feels correct, if a bit roomy, with medium weight socks. I was true to size in the Kinvara 7 and found them race shoe snug, so likely could have sized up a half in those. I have run Kinvara 8 with very light socks and find them roomier in the toe box, maybe a bit to roomy at a half size up for racing, but fine for training. Those purchasing for racing, using thin socks all the time, and preferring a snug fit likely can go true to size. 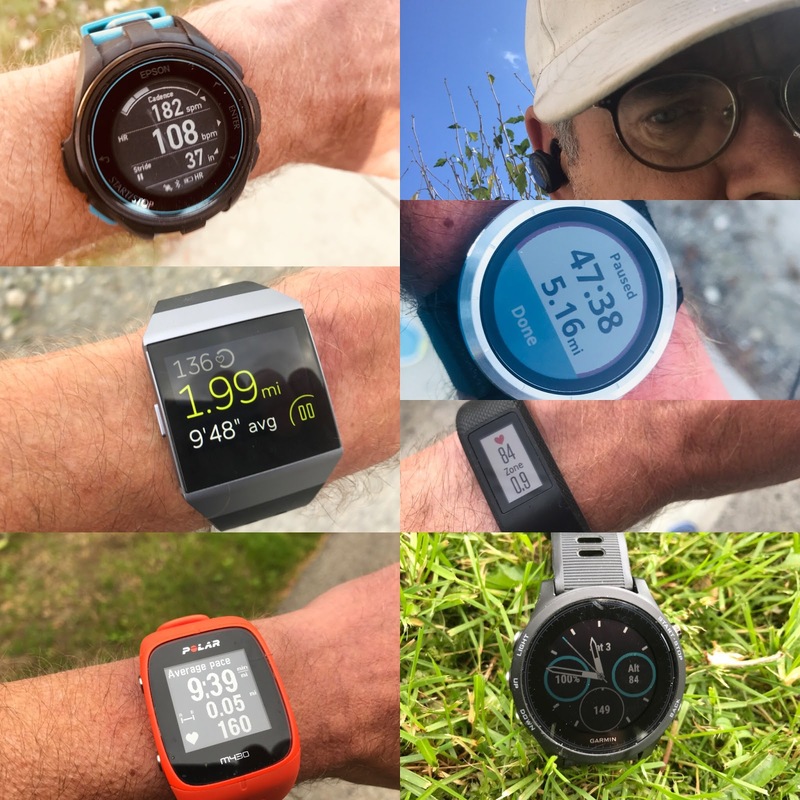 Sam: At the midfoot, the Pro-Lock straps hold the foot down just right, no longer nearly as much "in the way" and overly constraining but still there functioning more like Saucony's IOS Fit. I think the strap itself could be thinner to improve comfort and be less noticeable when snuggly laced. The upper is a single material, soft mesh with melted on Pro-Film overlays. It should be very breathable. The mid foot saddle is more breathable and less structured providing a secure but no longer very snug and for some painful race shoe type fit. There are fewer overlays in the front of the shoe and the mesh overall is more accommodating. While the 8 appears pointier, I only noticed this in the first 7 or 8 miles with heavier socks, as I accumulated more miles the overall fit improved from mid foot to toe. The tongue of the Kinvara 8 is somewhat softer and more padded than Kinvara 7. As a result there is a bit less lace pressure and a softer wrap of the foot. 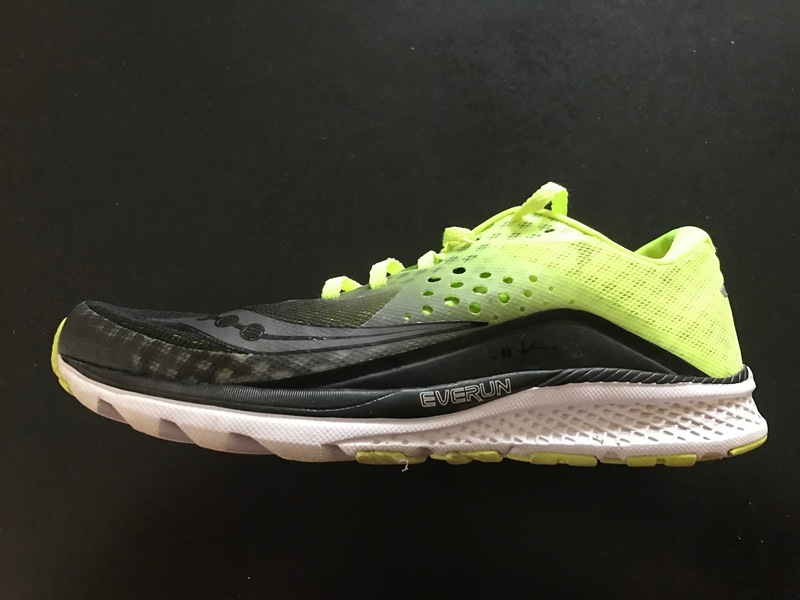 Sam: The Everun heel insert of the Kinvara 7 is replaced with a thinner, full length 2-3mm thick single sheet of the TPU based Everun material as many 2017 Saucony are getting. As a result there is 2-3mm less firmer Everun SSL EVA midsole, with the SSL in the Kinvara 8 also softer than in the Kinvara 7. There is also is no full length board below the sock liner which tended to also firm things up in the 7. I find the heel softer and also less responsive. They are also easier, smoother to run than the 7 at slower speeds but less responsive as the pace picks up. Peter: I wish I could tell you that the midsole was “bouncy” or “returned energy” or was a “game changer” but I just don’t feel it at all. The shoe doesn’t particularly return energy and running side-by-side with the K7 I don’t feel a ton of difference. The outsole appears identical with its fairly minimal front of the shoe rubber shoe coverage. The Kinvara is not a shoe you will get the kind of outsole wear as you would it Saucony's next step up heavier Zealot ISO and Ride models, but for the very light weight of 7.8 oz and considerable cushion there are always tradeoffs. Peter: Ride is where the Kinvara 8 really falls apart for me. I really don’t enjoy running in this shoe. I keep trying, but every run I’ve had in the Kinvara 8 has felt like a chore. The transition from landing to toe-off feels clunky and labored. The shoe feels super stiff and hasn’t gotten more flexible feeling as the miles have added up. They’re not particularly cushy, so I don’t enjoy them as a recovery shoe and they feel awkward and clumsy when I pick up the pace. Don’t get me wrong, I really want to like them, but I don’t. In all the runs I’ve done in them I don’t think I’ve had any time where the shoe felt like it disappeared. They feel heavier than the 7.5 ounces they are. Sam: I don't entirely agree with Peter. The ride is fine for such a light shoe but something is off for me and I think it is the softness of the midsole combined with the Everun layer and the midsole geometry. I found the heel to have a combination of softness, a bottoming out to the firm outsole and then some shock and less rebound than the Kinvara 7 with a bit to much effort to transition from heel to mid foot. The zero drop Altra Escalante pulls the transition off better for me and its heel cushion while firm is more consistent. Toe off with added flexibility was great but could use a bit more stable outsole rubber. While I was happy to race in the Kinvara 7, overly snug upper and all, I would hesitate to do so in the Kinvara 8. My uptempo runs in the Kinvara 8 were decent if a bit labored. Peter: There are so many shoes out there that deliver on the early promise of the original Kinvara, the Kinvara 8 just isn’t one of them. I’m sure there are people who will like this shoe—even love it. For me, it’s just not an enjoyable shoe. The Saucony Freedom (RTR review here), on the other hand, is very much what the original Kinvara seemed to promise. It’s light, flexible, soft at slower speeds and firm when you lay into it. I have some issues with the Freedom, but overall I’d recommend it over the Kinvara 8. I might be less disappointed in the K8 if it wasn’t in the Kinvara line—but I still wouldn’t enjoy running in it. 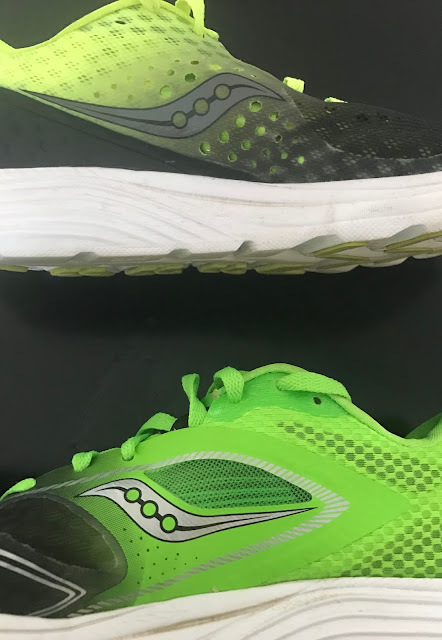 I bet if the Kinvara had Saucony's excellent firmer with some rebound Power Foam coming in the upcoming Ride 10 (review soon) it would be a far better shoe for both of us even if it weighed a touch more. I agree with Peter that the Freedom ISO is the worthy successor to the natural feel of the original Kinvaras but for me it is also to unstructured at the rear of the shoe. -0.5 for upper still needing some work at mid foot for a more comfortable wrap. Peter: As I said above I prefer the Freedom on all fronts. It feels lighter than the K8 (it isn’t), it’s more flexible and natural feeling. the Sam: I don't agree that Freedom feels lighter but it is more fun to run. This said if I had a longer race and had to chose between the two I would pick the Kinvara for its extra upper support. Peter: If you put the GoRun 5 on my foot and said, “this is the new kinvara”, I would say “man, they finally nailed what the Kinvara was supposed to be. It’s flexible, soft enough for recovery runs, feels like a slipper and responds nicely when you lay into it”. The GoRun 5 has continued to grow on me. Great shoe. The k8, not so much. 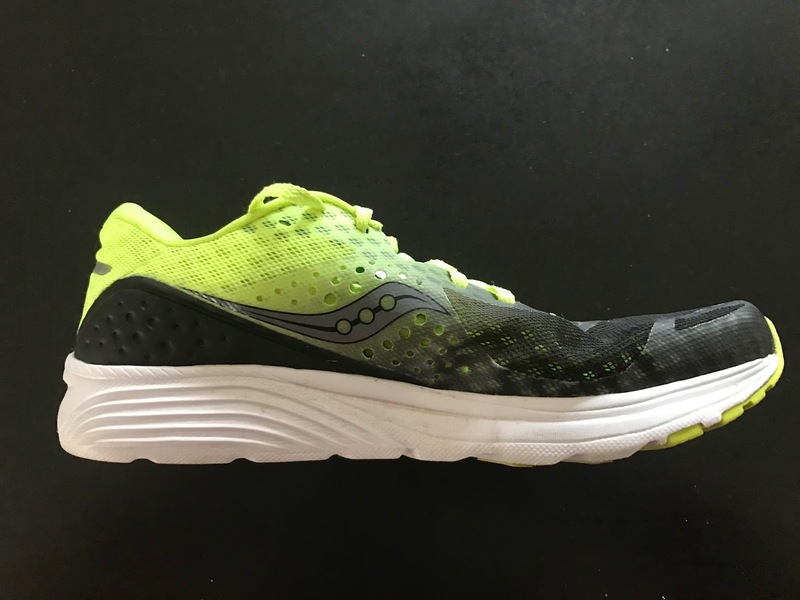 Sam: Agree with Peter that the GORun 5 is the new Kinvara but like the Kinvara it is to soft for me and I am not a big fan of slipper like shoes so Kinvara's upper is far more my style. Peter: The Nike has much more energy return than the Kinvara. So much for EVERUN. Peter: The Zante is a bit firmer, but seems to provide a bit more bounce than the Kinvara. Weighing only 0.4 oz more the Hupana offers a smoother more polished ride with plenty of cushion and a nice rebound. The design from top to bottom is "of a piece" unlike the Kinvara. Sam: The Altra Escalante with a 2-4mm drop would be a total winner. This said, even at zero drop, the Escalante has a firm but not harsh, no bottom out and responsive heel, a better cushioned yet agile forefoot with plenty of stable rubber and unlike the Kinvara and a superior more comfortable upper. Peter is a sub 3 hour marathoner with a recent 1:21 half marathon. Sam is going into the 60 age group and runs half marathons in 1:38... on a good day. The Kinvara 8 was provided at no charge. The opinions herein are the authors'. I too found the early Kinvaras bottomed out. I bought the 7 because it didn't bottom out, and I ended up liking it a lot after I put a more plush insole into them to smooth out the transition. The ISO fit never has bothered me. I am perplexed by the hatred for it. If you had to recommend a Kinvara-like shoe, but slightly better cushion, what would you suggest? An old metatarsal stress fracture gets sore with the Kinvara if I get up in the 10+ mile runs. I use the Triumph ISO 2/3 as my primary trainer, but it's way too heavy for races and speed work. Thanks for the reply and suggestions! I've been a loyal follower for a while. Keep up the great work. I totally agree with Peter. I never had a Saucony shoe before and was expecting a lot from the Kinvara based on it's reputation in being a light, comfortable and yet responsible shoe. I bought a Kinvara 8 and put a 20km long run in my first ride. It was very frustranting to me when I noticed despite the shoe is comfortable and lightweight, it didn't provide a responsive or fast ride. I never had a 4mm drop shoe, but I believe the frustration and sensation of running in a slow pace is due to the Everun sole which is not responsive, and feels different from the Adidas Boost feels like the cushion is stealing energy from your run and making you run slower. During the run It took more effort for me to keep a Z2, can't imagine trying to put more speed on it. It was a frustrating long run and it felt like the shoe was holding me down, a feeling I only had with shoes that were too heavy for my taste, which is not the case. I have ran in shoes from several other brands, like the Adidas Energy Boost, Adios Boost, the Nike Pegasus and the New Balance 1500. Those are all shoes I love to train in, are responsive and provide you a fast ride. One time a read a review that compared the Everun sole with the Boost technology, saying they were similar. They are not, it seems to more like they are opposites. Hope I have yet to break this shoe so it less soft and I use it in recovery or fartlek trainings, right now it doesn't feel like the shoe is competent to any of these tasks. I think the main issue is the softness of the midsole not with the Everun contributing. A firmer midsole under Everun would make it far more responsive. Thank you for this review. I have been a Kinvara runner since the beginning and have loved the original, the 3 and the 5. I could never run in the tight fitting 2, 4, or 6. I really don't get what Saucony is doing. Each successive model is grossly overbuilt. I keep asking them to make a Kinvara Classic (they have done this with other shoes) and make it the 1 or the 3. Minimal but crazily cushioned for what it is. I just picked up a pair of Skechers Go Run 5s and my third run in them was a BQ marathon. I love how that shoe fits, the cushioning, and just the overall ride. It corners well and is so smooth. I keep thinking, like you said, that it is the evolution of the Kinvara, but, alas, it isn't. It's not pretty, but it is a great shoe. Hmm, what to believe? Fellrnr claims it is a wonderful shoe, but a very different shoe compared to previous Kinvaras, much like Hoka Clifton but without the weight penalty of the later Cliftons. I've got a Kinvara 5, myself, great shoe but treadmill or track intervals only - old guy ;) So perhaps Kinvara 8 is the new Hoka Clifton v1. Just tried out the Ride 10's and did not like them at all. Way to narrow of a mid foot but it does have room in the toe box. Very flat and non responsive ride. Little to no arch support and ZERO POP !!! An overall VERY underwhelming shoe to say the least. Sending mine back to Zappos. I loved the Ride 8's but did not like the 9's either. ( sent those back as well ). I alway's run in the Brook's Ghost or the Saucony rides and now I'm ordering the Kinvara 8's. I tried them on at a local store and they felt great for my feet. Pro-lock is totally useless. Forefoot needs to be wider, i hope they change it in the next version. I previously had the ride 8 and current shoes are triumph ISO 2. I went to get something to replace the ride and also found the ride 10 to be a bit clunky and not offering much. Tried the freedom (shoes I've lusted after since release) but they offered just too little support on one foot. The Kinvara 8 are a great middle ground and offered the exact shoe I was looking for. Lovely snug fit, room for the toes, and I actually did feel some response to them following the Ride 10. Just make sure to go 1/2 size bigger in the K8 over the ride.